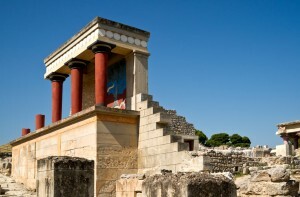 Why visit Crete for your Holiday? 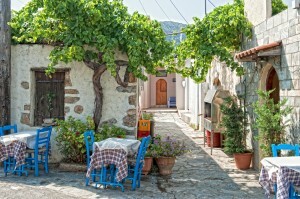 Crete is the biggest of the Greek islands attracting one fifth of the tourists visiting Greece. Visitors keep coming back again and again lured by the natural beauty, the remarkable history and the proud and hospitable Cretans. Endless beaches, spectacular mountains, lovely olive groves, ancient Minoan palaces, Venetian fortresses and Byzantine monasteries are some of the main attractions. Furthermore 2 big water parks, Aqua world Aquarium and the Crete golf club are all situated conveniently close to our clinic. Accommodation is abundant ranging from luxury hotels and villas to more modest family-run apartments and traditional cottages. Low cost airlines such as Easy-Jet and charter flights fly to the nearby airport of Heraklion “Nikos Kazantzakis”, while a big choice of holiday packages and last minute deals are available for Hersonissos, Malia, Stalida and Sissi. With 300 sunny days per annum, Crete is an ideal destination for outdoor activities such as walking, climbing, biking and horse riding. Alternatively you can just relax on the beach,take a stroll along the seafront, have a coffee on a sun terrace and enjoy local cuisine and drinks on outdoor restaurants. Heraklion offers great shopping, ranging from international and Greek brands to souvenirs and local gourmet specialties. Cretan cuisine has become synonymous to the Mediterranean diet. Delicious, nutritious and healthy food has been prepared every day on the island for centuries, using local products such olive oil, goat cheese, fresh fish, vegetables and herbs. The Cretan diet has been studied extensively by international universities and has been found to contribute positively to the health, longevity and quality of life of the Cretans. Find an even greater variety of hotels, in these neighbouring villages: Piskopiano, Koutouloufari, Stalis, Anisaras, Gouves, Malia. Sea side resorts, small family run hotels, budget apartments or luxury villas Hersonisos has it all. The following are a very small sample of the available lodgings. Connect with Gentle Dental Team!